Home /News /Raw materials at any cost? Raw materials at any cost? Oil, gas, precious metals – raw materials are a key part of the global economy. However, human rights violations often occur in the countries that extract them. In these countries and internationally, this often results in conflicts, some of which are violent. 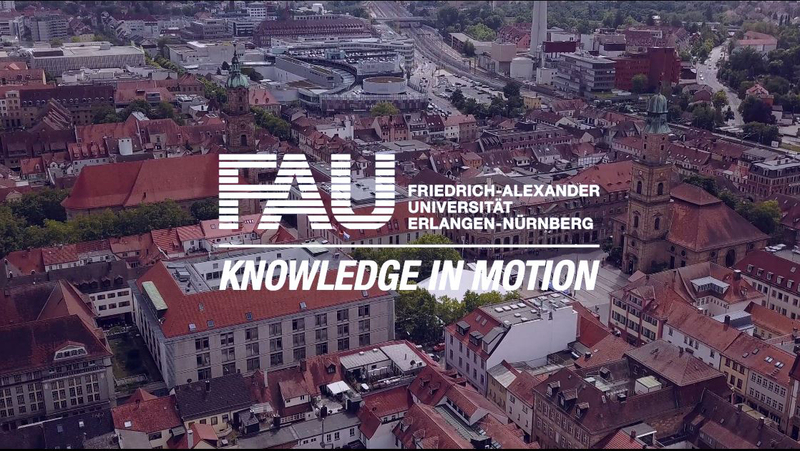 How these problems can be resolved is the topic of a conference that the Centre for Human Rights Erlangen-Nürnberg (CHREN) at FAU is organising in collaboration with Goethe University Frankfurt. The German Foundation for Peace Research is funding the conference with approximately 10,000 euros. We asked Prof. Dr. Markus Krajewski, one of the conference organisers and Chair of Public Law and International Law, some questions about the topic. What exactly are the human rights violations and potentials for conflict in the affected countries that are being discussed? Human rights violations can occur at any point in the production chain. Workers’ rights can be violated during the extraction process, for example if they are not paid an adequate wage, if they are working in inhumane conditions or if children are exploited. In addition, the rights of local populations can be violated, for example if a mine contaminates the groundwater or if oil extraction results in pollution, which affects people’s right to water or food. Finally, indigenous people’s rights to participation and consultation can be violated when projects are carried out in the areas where they live. In summary, raw materials projects pose a particular threat to human rights across the world. To what extent do the countries that extract raw materials and the global economy depend on the extraction methods that lead to these kinds of human rights violations? These countries and the global economy depend on the production of raw materials, but in no way do they depend on these human rights violations taking place. All raw materials production can be organised in such a way that it does not violate human rights if the countries that extract the materials, the companies involved and the countries where there is demand for resources fulfil their human rights obligations. This might make raw materials more expensive or reduce companies’ profit margins in some cases, but that cannot be an excuse for human rights violations. Is it possible to implement rules that meet our expectations with regard to human rights and dignity, and how interested are affected countries in making this happen? It is not about ‘our’ expectations but about respecting universal human rights – rights to which most countries of the world have assumed obligation. These rights are defined by UN bodies and specific committees involving experts from all over the world. Therefore, the goal is to create political, social and economic conditions that enable these rights to be respected. The countries that produce raw materials all have different levels of interest. Some of them are genuinely interested in respecting human rights but are too weak to implement appropriate measures in the face of strong economic interests. Other countries are not willing to fulfil their obligations. In these cases the international community must put pressure on them. What role do international organisations like the UN and the Extractive Industries Transparency Initiative (EITI) play in the fight against these human rights violations? The rules and standards developed by the United Nations, international organisations and NGOs are key instruments that allow human rights violations to be prevented and appropriate action to be taken in response to violations. It is important that representatives of those affected are involved when these rules are drawn up and that decisions are not made without consulting the people on the ground. In addition, companies, unions and human rights organisations must be involved to ensure that all interests are represented equally.